We have relocated from Blk 1 Thomson Road! Home Announcement We have relocated from Blk 1 Thomson Road! 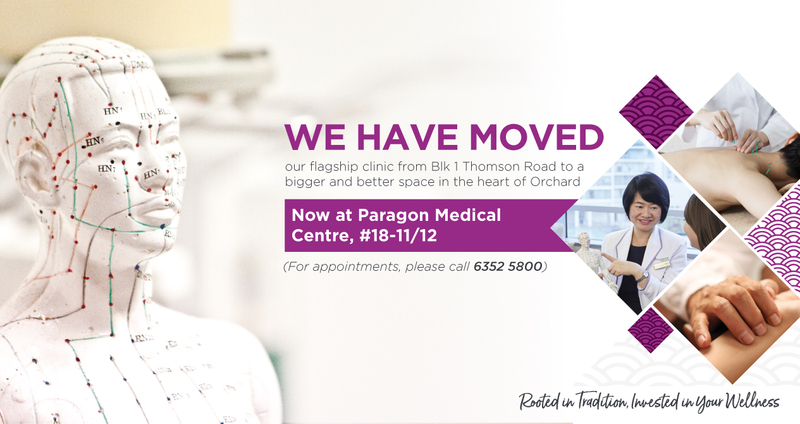 We are pleased to inform that our flagship clinic at Blk 1 Thomson Road have moved to bigger premises in the heart of Orchard with effect from 2 April 2019. Please contact us at 6352 5800 or tcm@thomsonmedical.com if you have any queries. Thank you for your continued support and we look forward to continue serving you and your family!